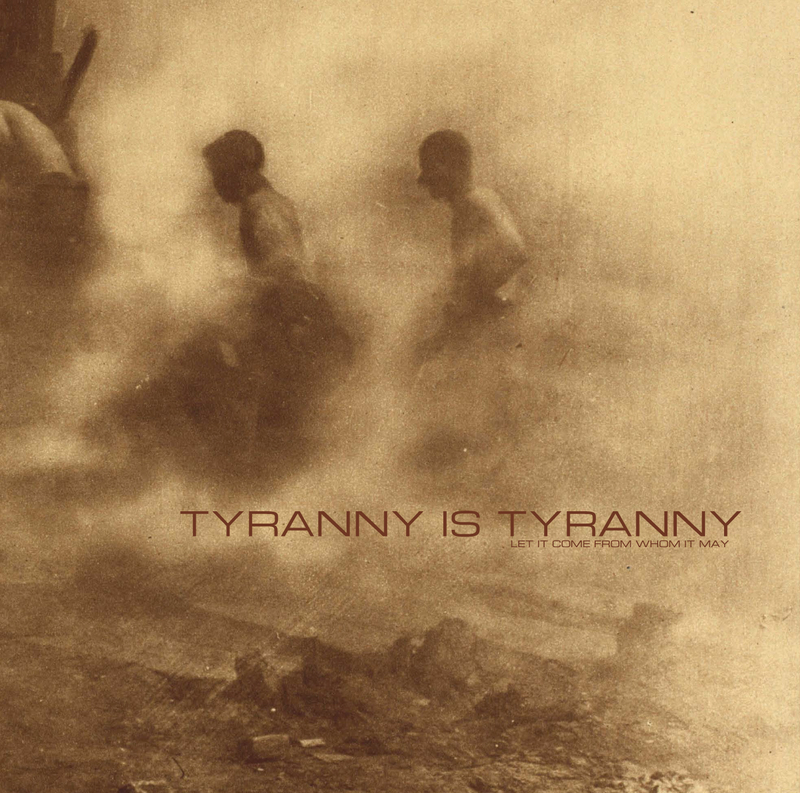 Tyranny Is Tyranny are from Madison WI and describe themselves as a post-noiserock band focusing on dynamics, repetition, and the dismantling of capitalism, featuring former members of The United Sons Of Toil they lay down long-form slabs of bleak dynamics and left-wing outrage. The 7 songs on this album bring angsty yet well considered politicisms ranging from the furious punk rock howls of "Down the K-Hole" to the post-metalist atmospherics of "Apostasy ". Kicking off with "Manufacturing Truth" the stage is set with a song which is, I think, aimed at the mainstream media's tendency to twist information and even outright lie in favor of any given political agenda but this is not a wild rant but a righteous song that made the hairs on the back of my neck stand up. There is some simple but very highly charged riffage and riotous fist raising noiserock-outs with surly growls that point an accusatory finger at the MSM, and rightly so. "Owned by Thieves" follows in a similar vein but this time in the form of an anguished lament to the state of affairs we now find ourselves in; so tragically fooled by a parasitic few. "Down the K-Hole" lays on howling and dirty noiserock that is as punk as Tyranny Is Tyranny get on this album with throaty slurs and energetic bashing of instruments that builds the tension with head nodding riffs, pounding bass and frantic drumming bringing the track to its inevitable conclusion. "The Haze of Childhood" brings a mournful ambient instrumental with soft tones, sweet twangs and sparse percussion that could be mistaken for the intro to a 40 minute post-metal opera but the song lies down softly and drifts away into an introspective drone at 4:46 which leads to "Apostasy." This song builds with soft notes and thoughtful vocals until the meat of the track heaves in at about the 1 minute mark with a heavy riff interspersed with feedback screeches. The song then takes off into stirring post-metal, piling on the emotive nature that the song has and creating the image of a man in despair at the realization that he has been fooled by a book. "The American Dream is a Lie" opens gently until guitar, bass and simple drumming tease with repetitive notes that build towards an unleashing of heavy riffs and a declaration that a whole nation has been lied to. I'm in no position to comment on such a statement as I'm from the UK but we have our own, equally dire situations of establishment corruption, the gradual eroding of our rights and an ocean of lies that stinks to high heaven. I can sympathize with the sentiments of this song which can easily fit into the situation on any westernized country. No, scrap that, any country around the world which has a government. Finally "Always Stockholm, Never Lima" concludes the album with some catchy experiments in noise rock and a comment on a political situation that I am afraid I know next to nothing about but as a song, it is a great way to end this great first album from Tyranny Is Tyranny. Highly recommended to fans of Cult of Luna, Isis, Fall of Efrafa and Light Bearer and equally recommended to those of you who like politically charged music, Tyranny Is Tyranny's "Let It Come From Whom It May" is due for a vinyl release in October but can be streamed in its entirety at their Bandcamp now. Appreciate the support and the obvious care it took to listen to our record and thoughtfully write about it.